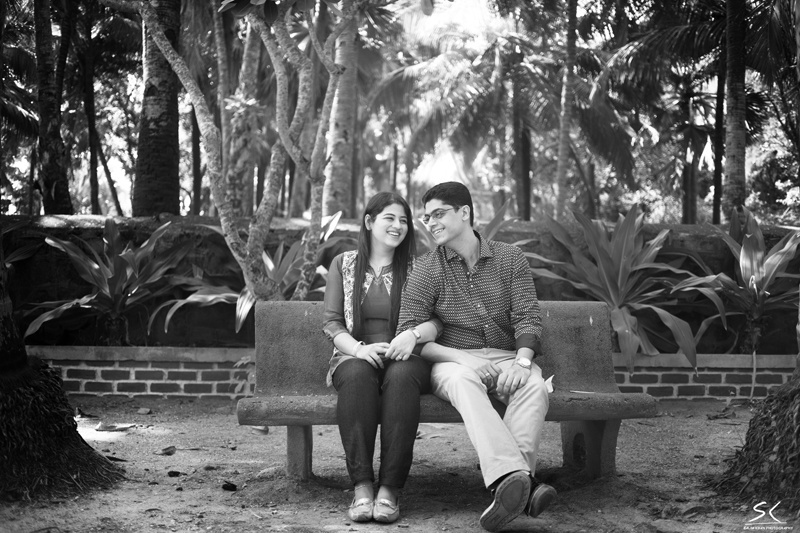 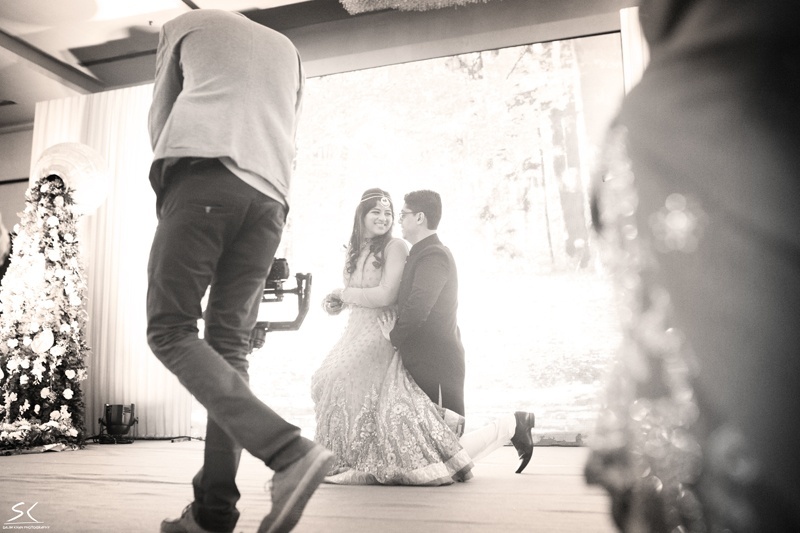 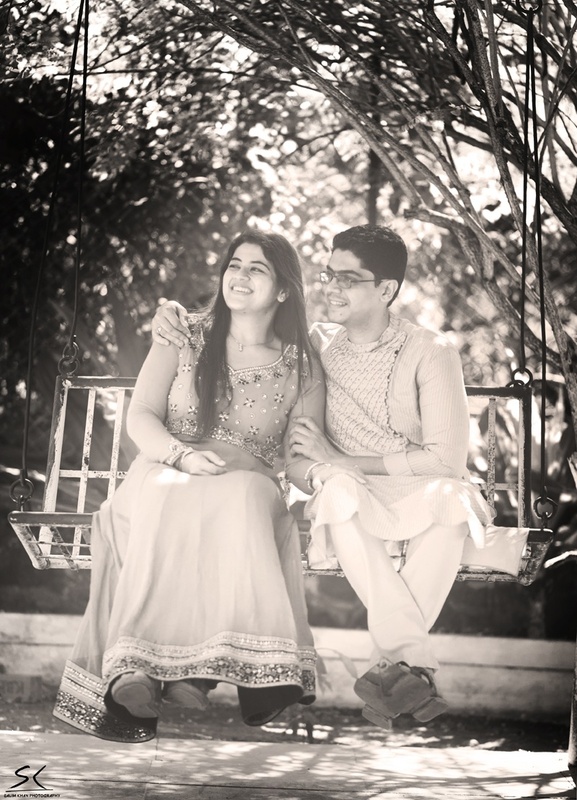 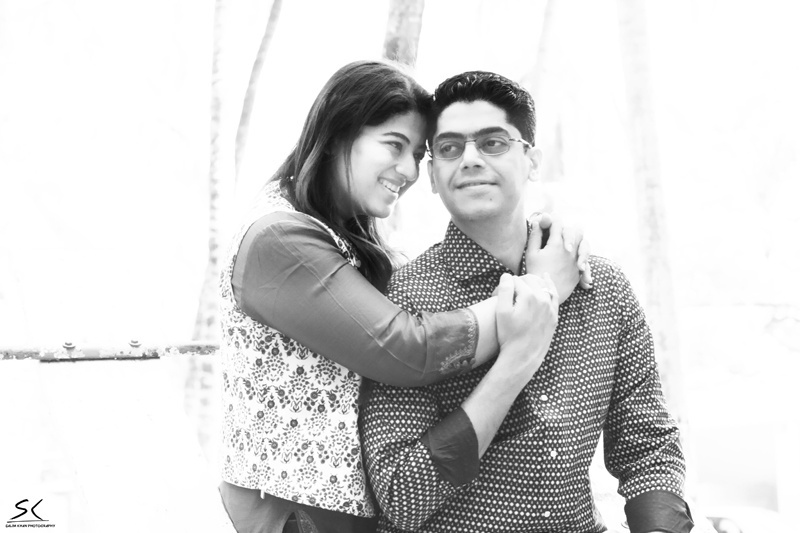 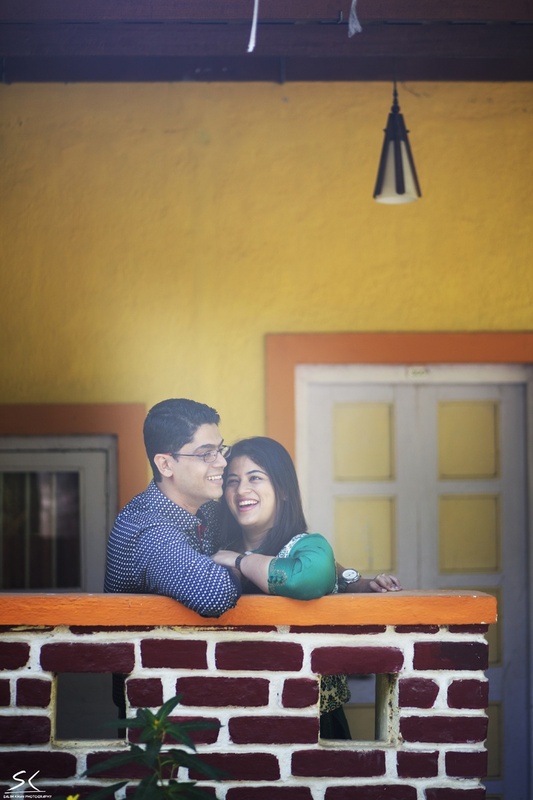 Amiti and Ankit’s kept it simple intimate wedding celebration was romance, love and laugher filled and each photo in their wedding album is proof. 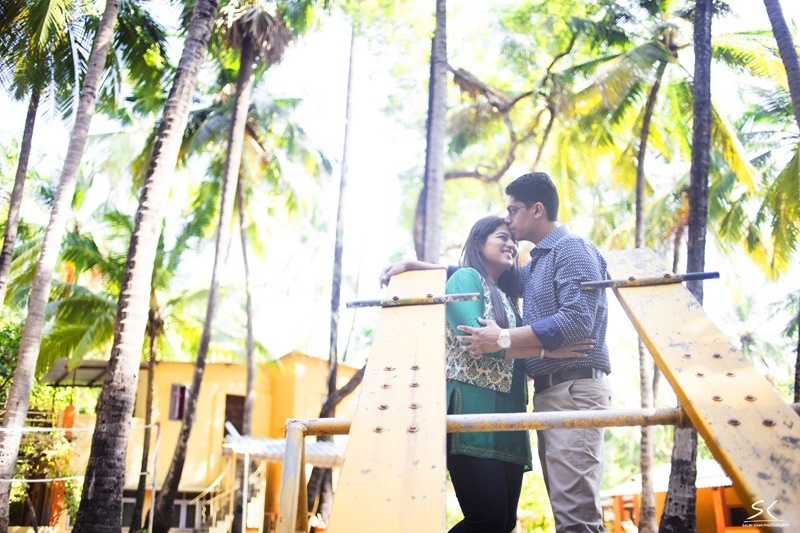 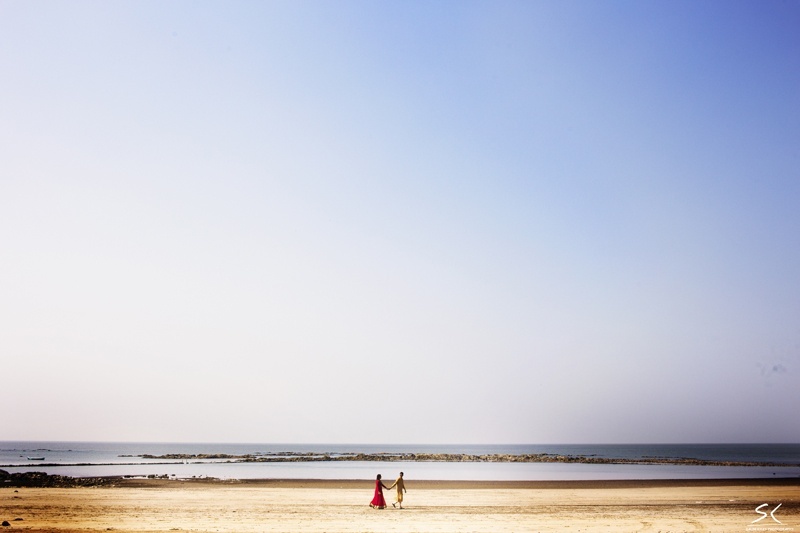 Their pre-wedding shoot was beachy, brickwalled and beautiful – three elements that were so different yet went together so perfectly. 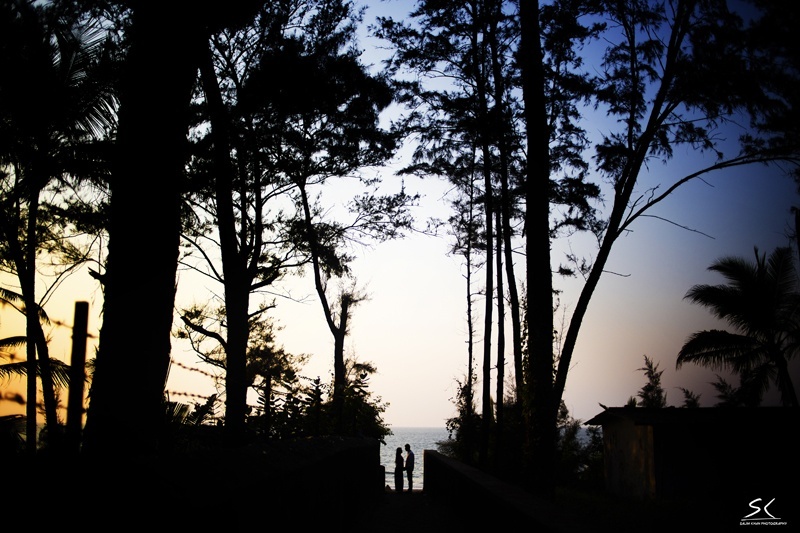 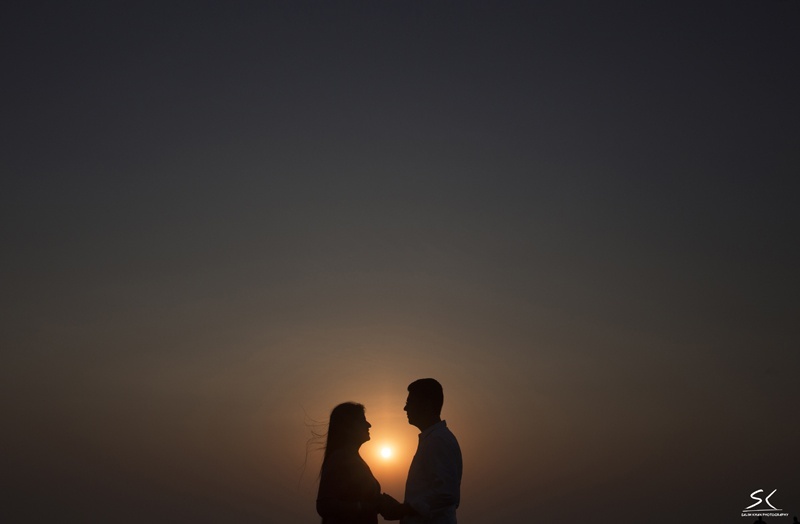 Gorgeous silhouettes taken at sundown, long shots on the beach along with monochromes captured artistically by Salim Khan Photography with full focus on the love and emotion. 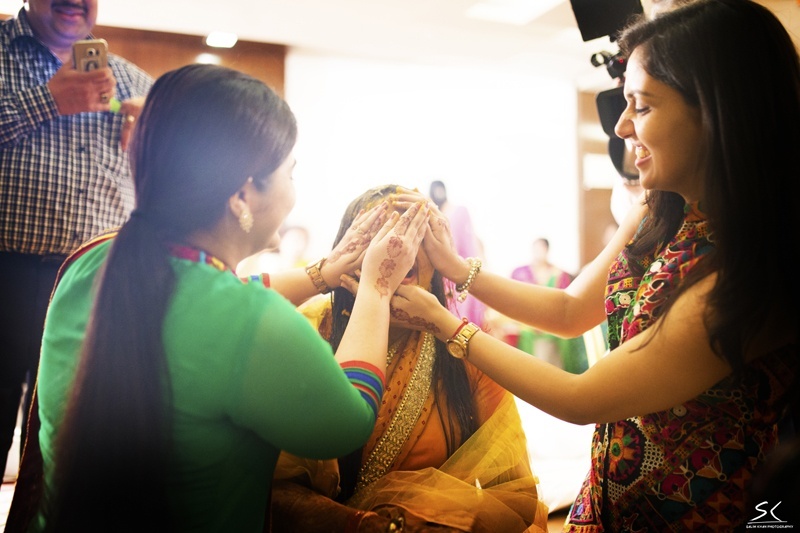 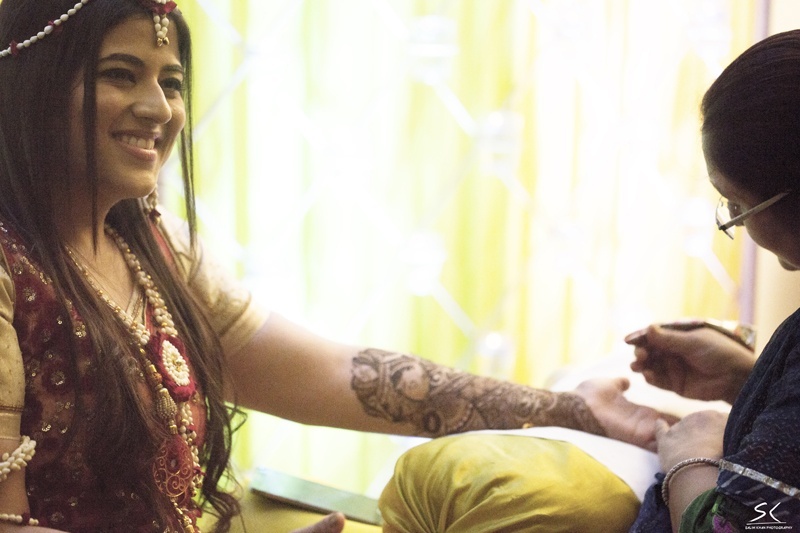 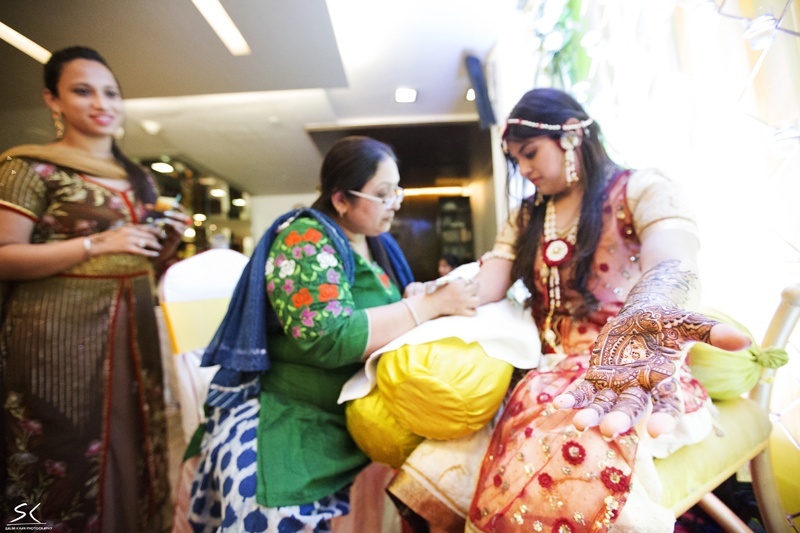 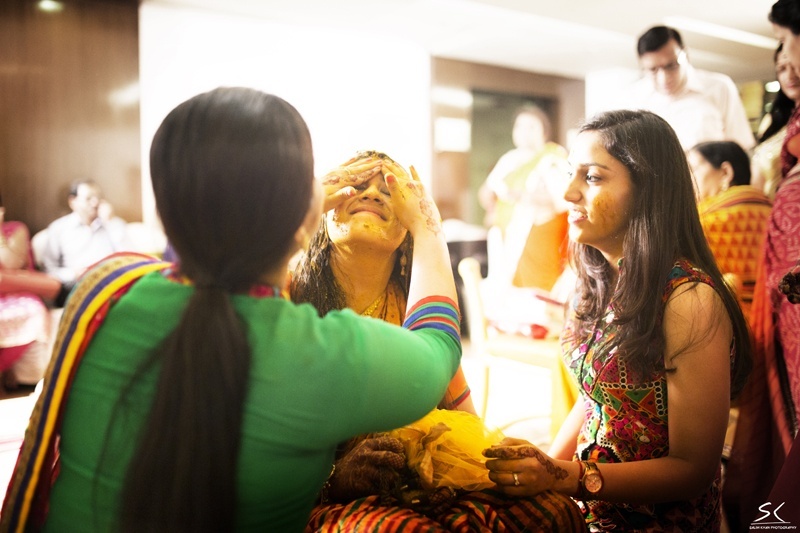 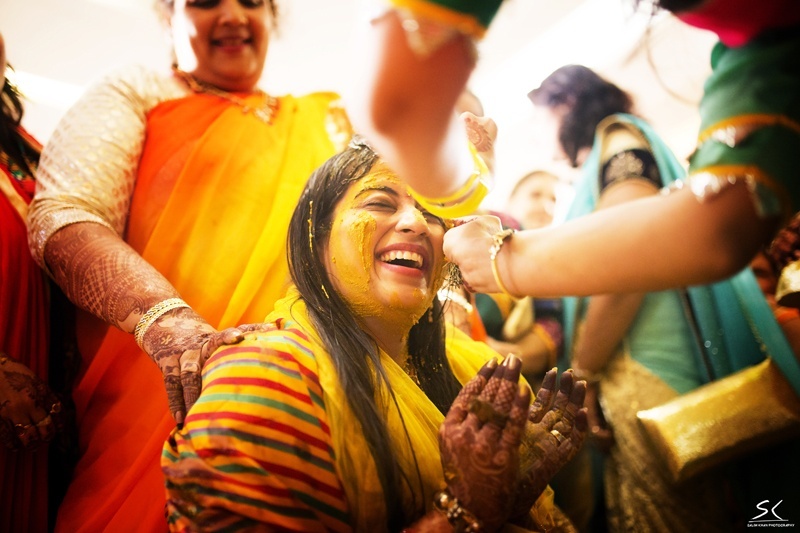 An intimate mehndi and haldi ceremony rolled in next bringing with it loads of love and laughter. 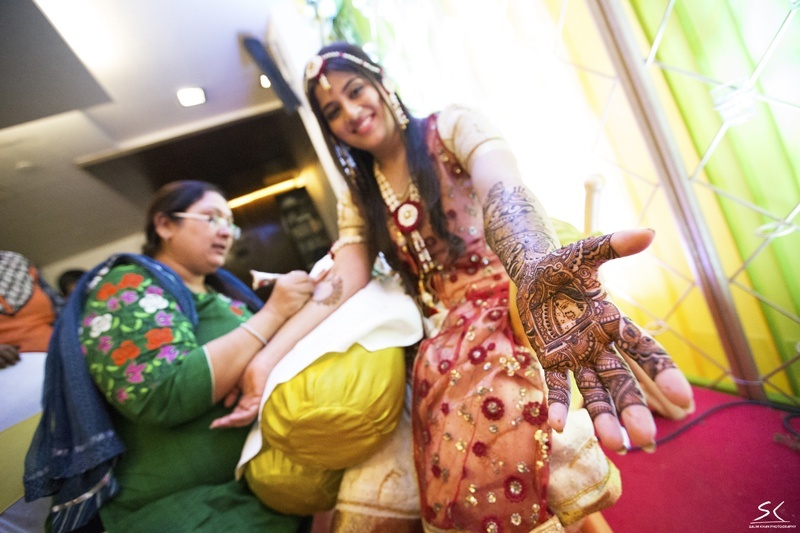 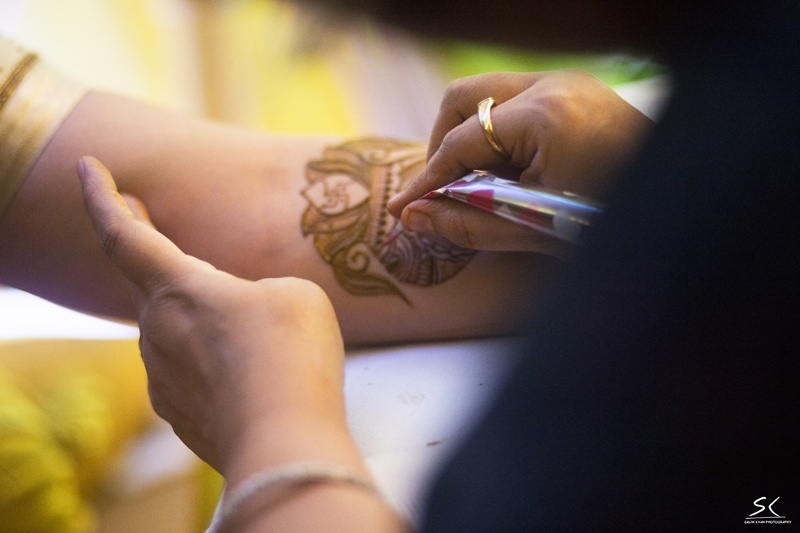 If you’re looking for a mehndi design that will leave everybody stunned, don’t miss out on the artistic design displayed on Amiti’s hands. 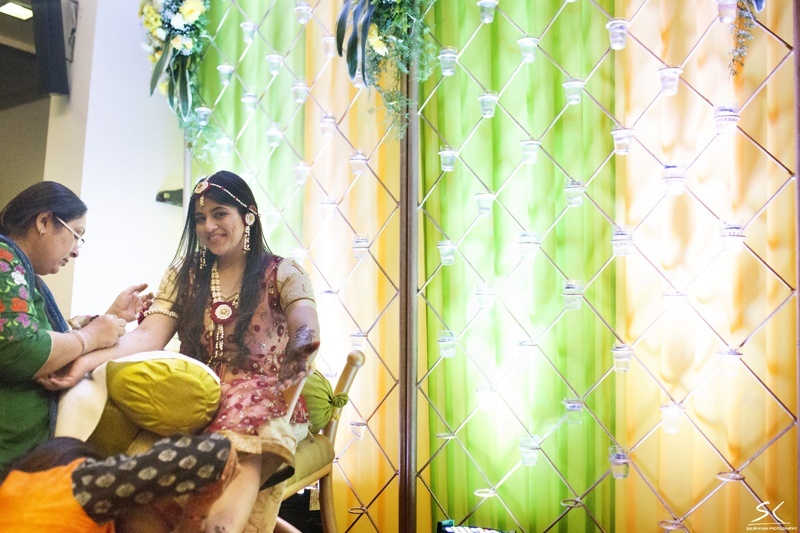 The set up too was done wee bit different. 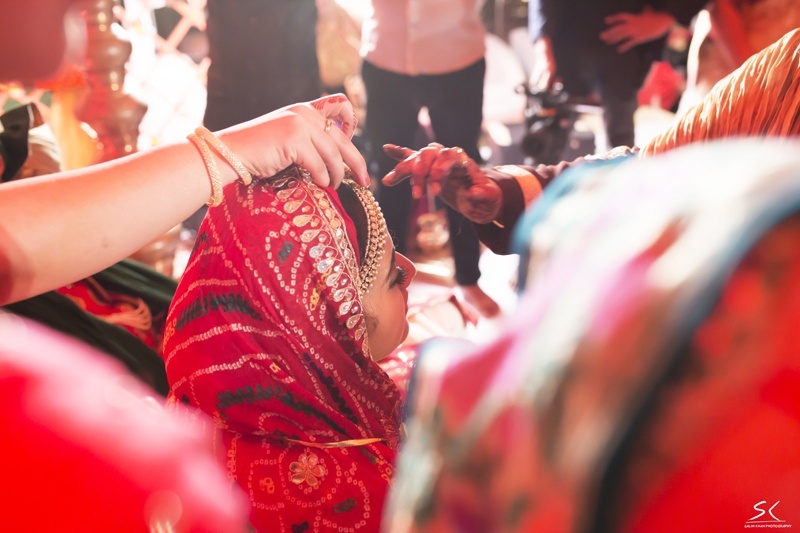 Taking a break from the outdoor mehndi filled with marigolds and leheriya drapes, she decided to have an intimate indoor affair – perfect for a monsoon wedding we think! 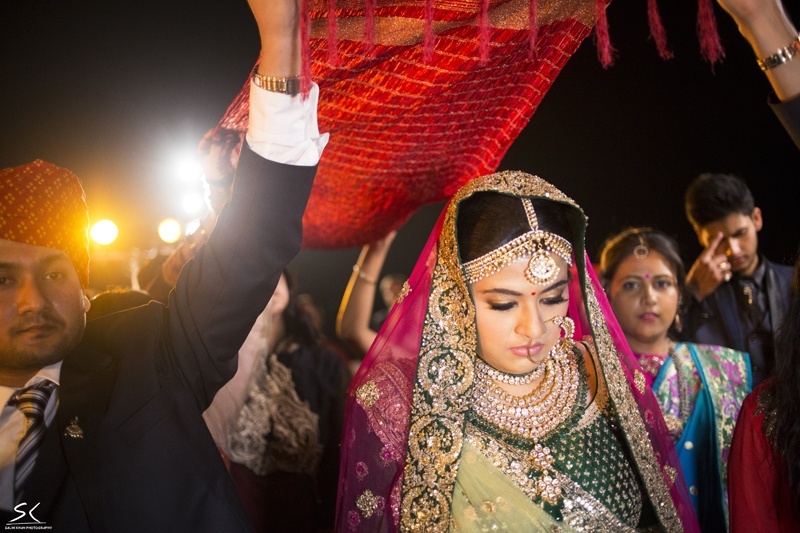 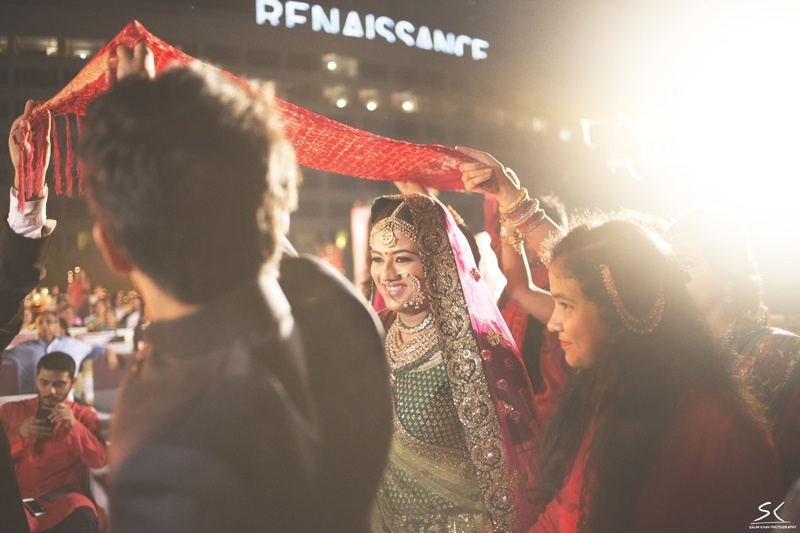 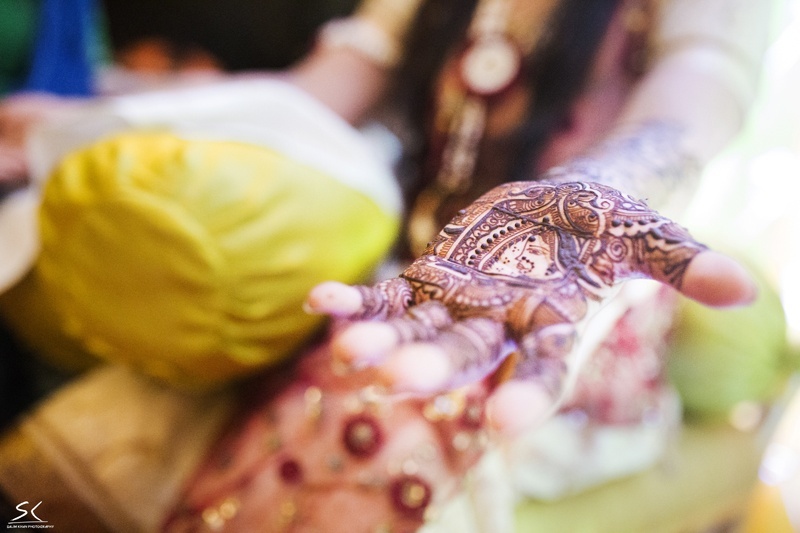 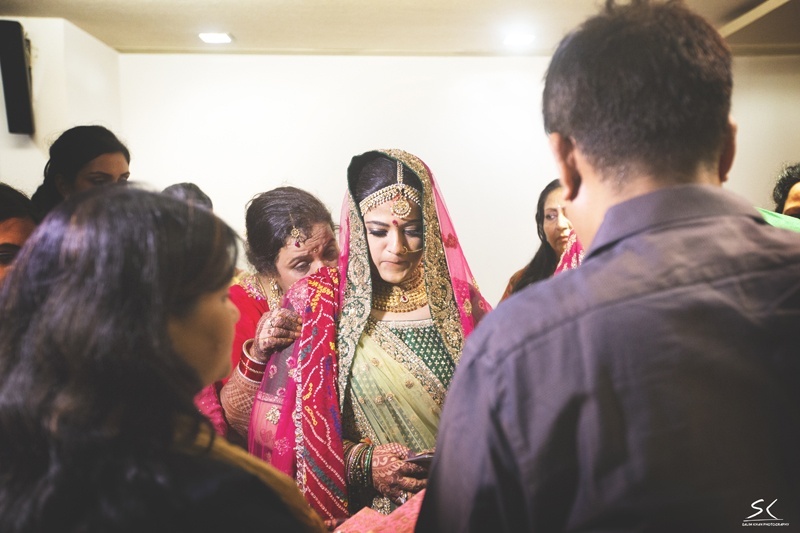 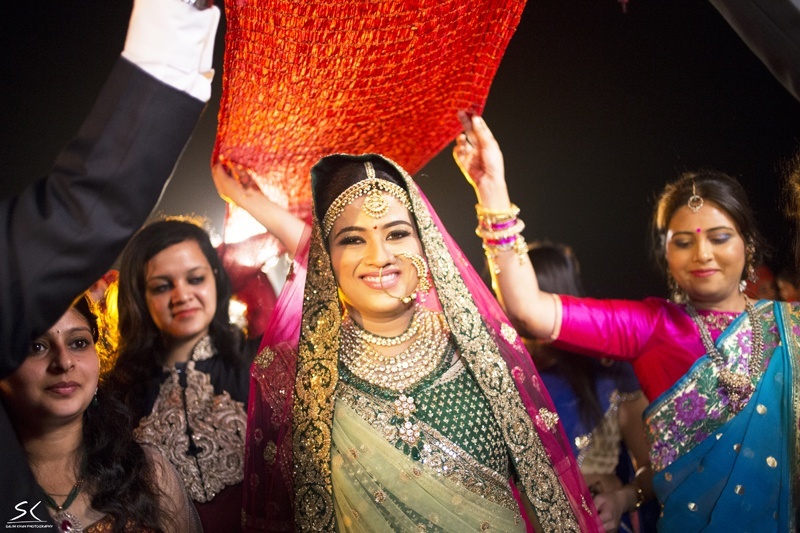 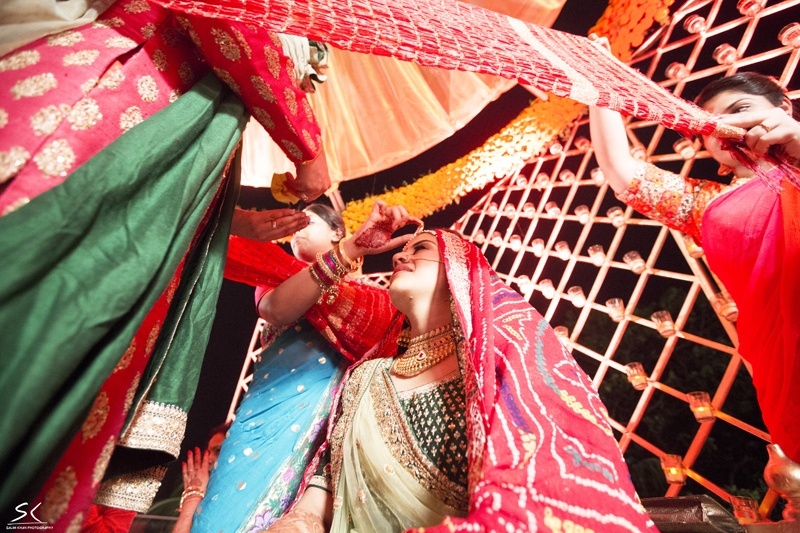 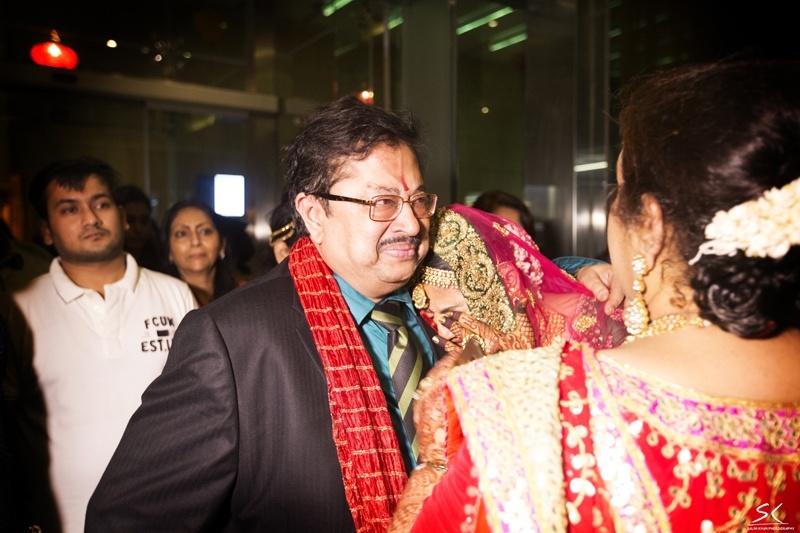 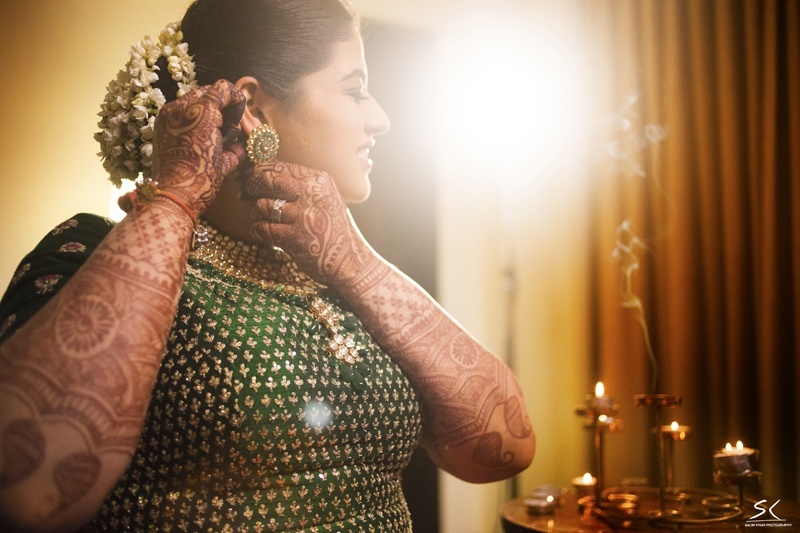 Amiti and Ankit’s wedding was held indoors at the opulent Renaissance Hotel, Powai. 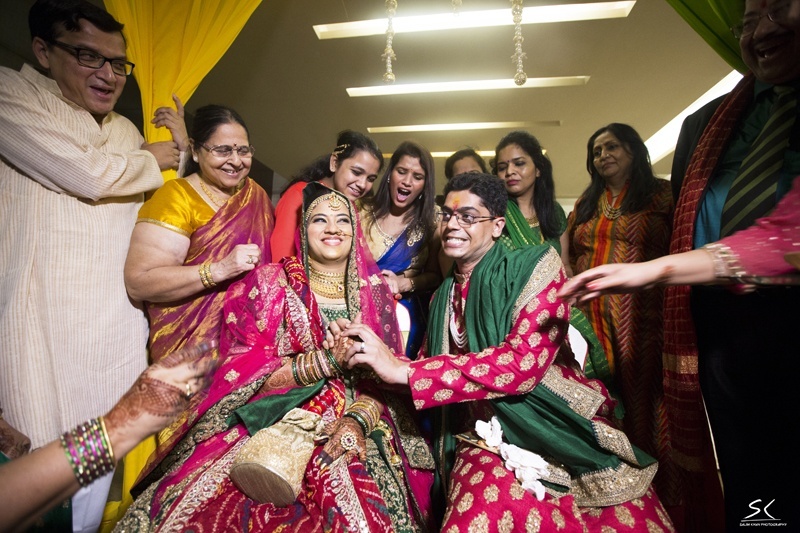 Amiti looked ravishing in a forest green and gold wedding lehenga paired with a mis-matched pink double draped dupatta. 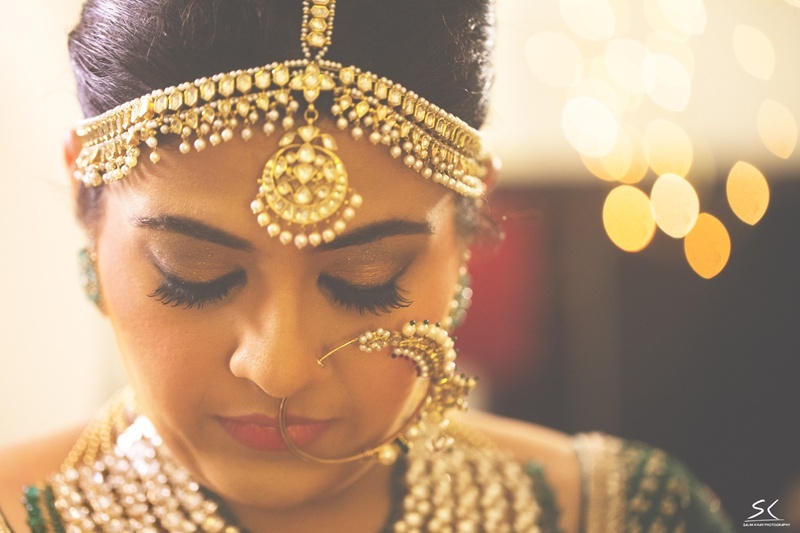 Her polki studded chandbaali maathapatii and matching oversized nath were the perfect addition of grace to her entire ensemble. 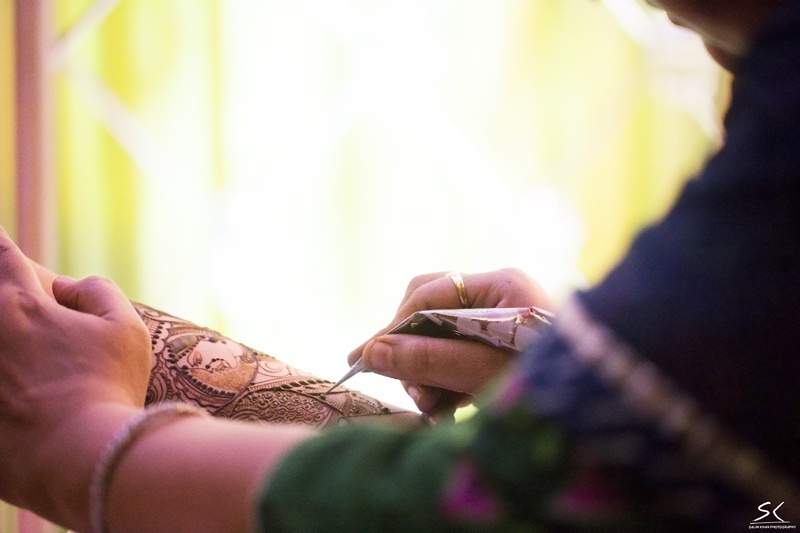 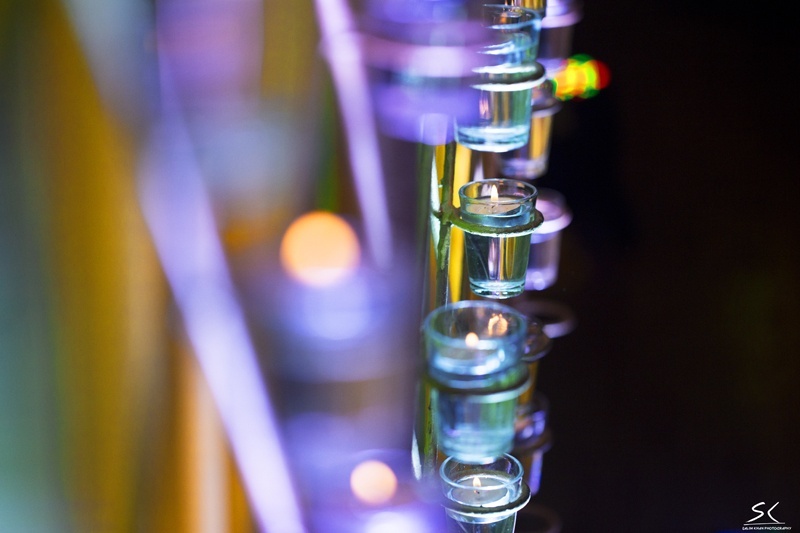 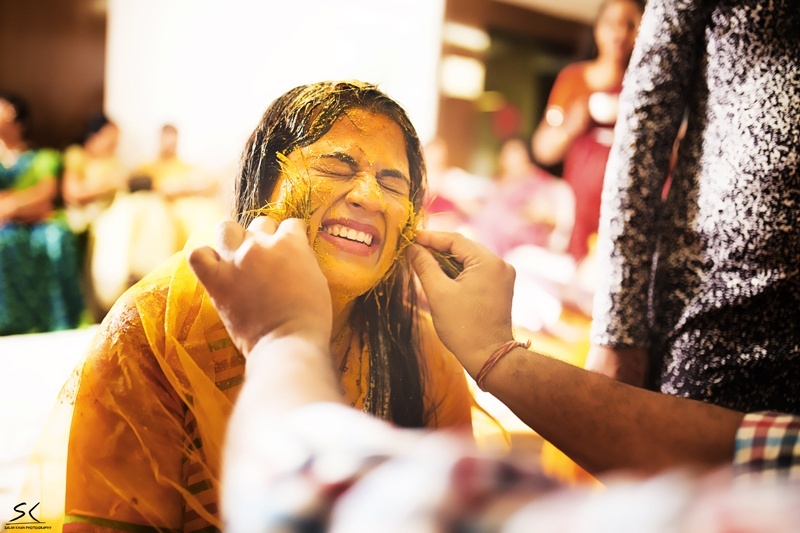 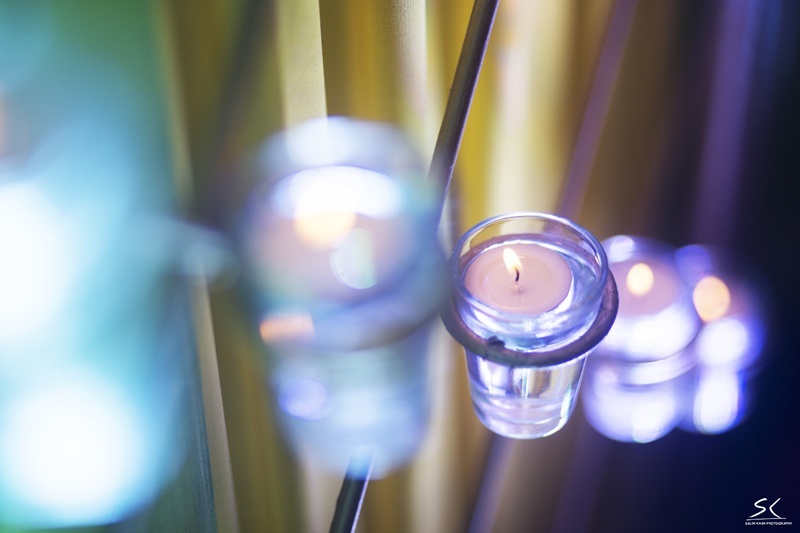 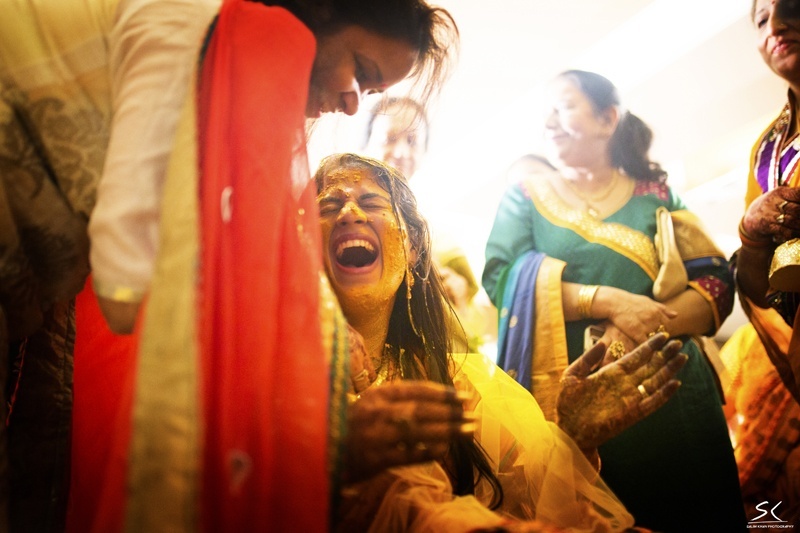 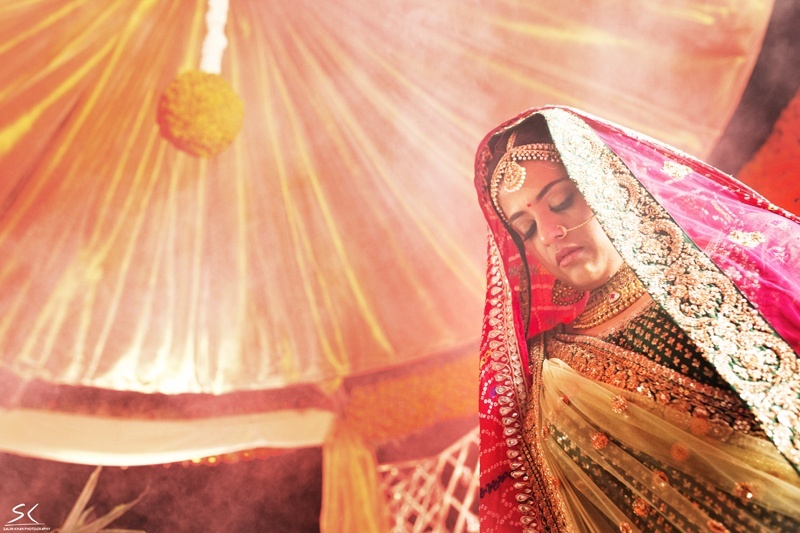 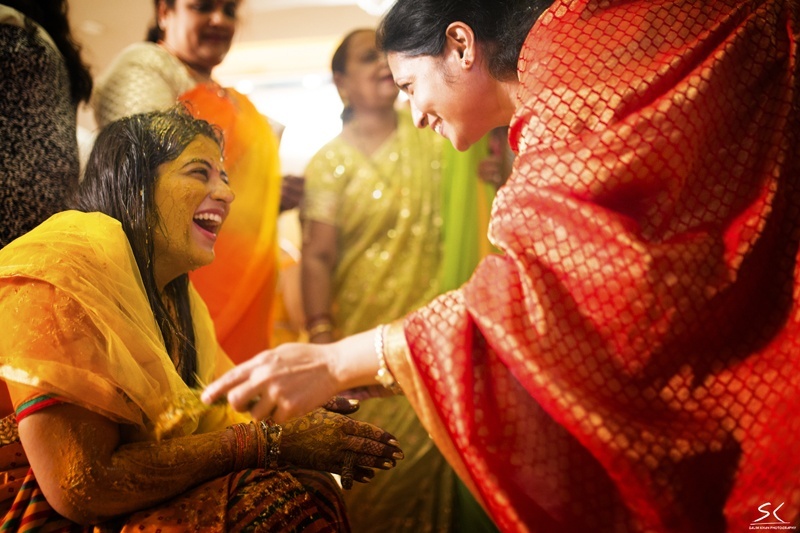 What to look out for as you scroll through this wedding – the stunning candid captures at the happy-happy haldi, the gorgeous tea-light candles and Amiti’s stunning bridal jewellery.